Bravery conquers fear. Fate races time. The Deschanels are scattered across Europe, each in search of what matters most. Finding himself closer to Ana every day, Finn must exercise patience, and follow his Quinlan training, to prevent losing her forever. Aleksandr sees the world through a different lens, as he discovers the joy and heartbreak of first love. Desperate for a miracle, Nicolas fears losing Mercy to her own delusions, and together they set off for Scotland in search of the unknown. At the center of everything sits Anasofiya and Cyler, each fighting their own internal battles, each hurtling toward very different outcomes. In this compelling seventh volume, our heroes grow ever closer to their goals as bravery conquers fear and fate races time. My review: Fans of Sarah M. Cradit have come to expect several things from her work, but two stand out to me: plot twists and non-stop action. 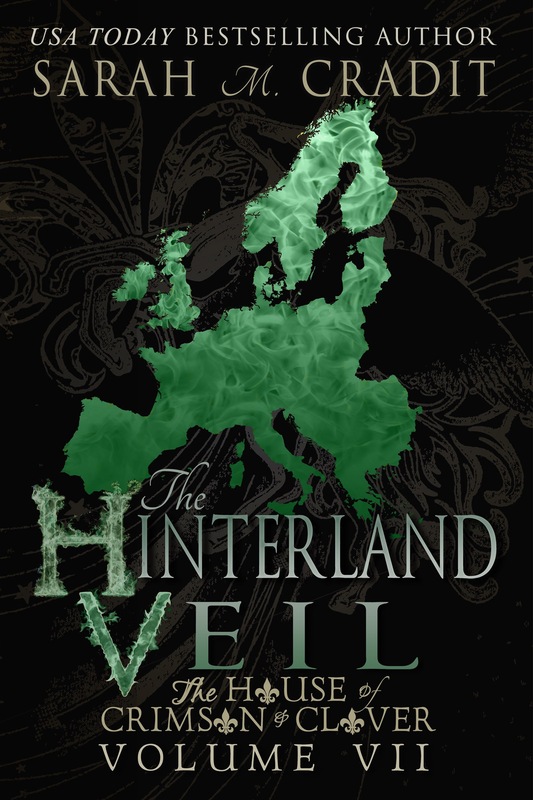 The Hinterland Veil is a perfect example of her ability to pull the reader directly inside the story and just as the characters do–get moved around with the natural ebb and flow of the storyline.In this installment, we see our favorites (Nic&Mercy, Ana&Finn, young Alexsai) and others weather hardships, heartbreaks, and maybe even experience a triumph (seriously, plot twist of the century). THV is a full circle in many ways. Though it lacks the in-your-face gut punch of Midnight Dynasty or Myths of Midwinter, this book is the beginning of a HEA for many of the characters we’ve rejoiced and suffered with. As always, start from the beginning with Volume 1, Illusions of Eventide, grab a blanket and a bottle of wine (or seven), settle into a comfy chair and get started. Your housework may suffer, but you’ll be so lost in the world of the Deschanels and Sullivans that you won’t care. Tara Benham is with us today. Let’s read about her writing process. Hi!! I’m Tara Benham. 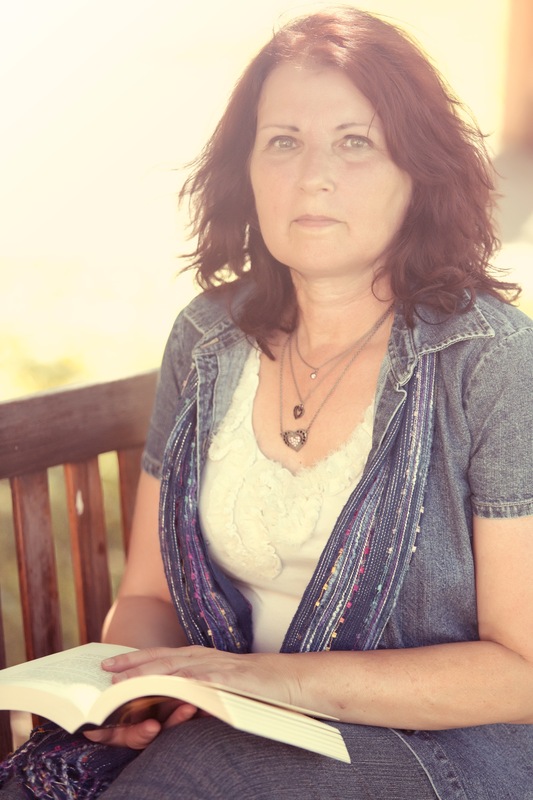 I’m an Occupational Therapist, photographer and author. I have a fur baby and live in Kentucky. I have creative ADD, (as well as regular ADD) which can be spotted in my works. 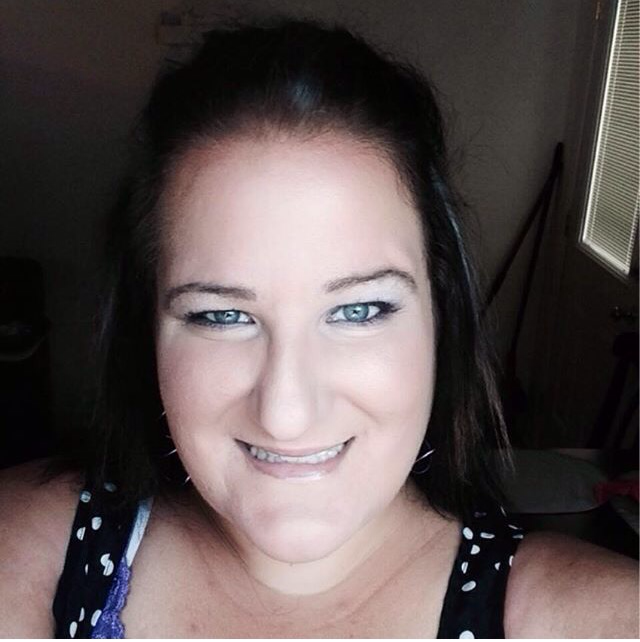 My first book was YA sci-fi/suspense but my WIP is YA paranormal. Most of the time my characters choose their names. With “At Night’s End” I had McCaid and Ever’s names before I even had a story. You mean they’re not? Kidding. Yes. I do talk about them as if they were real. I listen to music even when I’m not writing. It is my muse. I listen to all kinds of music. However when I’m writing it’s usually Imagine Dragons, X Ambassadors, or Hollywood Undead. They really help with setting the mood for me. I’ve wrote on and off for as long as I can remember but I got serious about it in 2011 when I started At Night’s End. There are still some days I’m unsure if I’m meant to be a writer. I love to write though so I will continue even if it’s just for myself. I attend UtopYa Con (now Utopia) this past June. It felt like finding home. I was surrounding by people who got me. It was very motivational and educational. My characters talk to me, and I talk to my computer or them as I write. I suppose that is a quirk? No superstitions though. My current WIP is titled “Falling” it’s the first in The Soul Collector’s Series. It’s about Bayla who is a soul collecting angel. In the first book, she is beginning her newest rescue mission. It’s really hard for me to read when I’m writing. I’m always afraid the other authors idea’s or voice will bleed into my story. I write YA and usually in first person. It flows better for me. I’m a total Pantser (fly by the seat of my pants) writer. I have no preparations, profiles or outlines. Just a general idea of the plot line. Usually I do, however sometimes my characters act up and change things on me. It happened with the Falling book recently. I find it fun and exciting for the most part. If there’s a message or theme it’s purely accidental. I usually write for entertainment. I’m obsessed with coffee and Sunkist. I love reading when I’m not writing. I also own a photography business that I love doing. It gives me a different creative outlet. My A&P teacher was the kid from The Shining. Dinner was a fun event, Hannah joined us during her break. It was a nice distraction from my thoughts as we sat around the table at the café having fun, and laughing. Declan turned the charm on full blast, regaling us with his adventures of his travels. Whether they were stories made up for his part he was playing or if they were true, they were funny. He was in the middle of telling us about getting lost in a country that he wasn’t familiar with the language, and after some confusion, was able to procure a bed for the evening. He proceeded to explain that because of the lack of communication, he ended up sharing a bed with a little old lady, who thought he was sent as an answer to his prayers, and he spend the majority of the night fighting off her advances, or hiding in the bathroom of the hostel. We were in tears by the time he finished his story. Hannah had spit water everywhere, and Mr. Whitstock almost fell off his chair. Declan chuckled some at his story, but mostly he looked amused at his ability to make the four of us laugh so hard. We were just calming down when Gray headed our way for his break. Hannah gathered herself, and waved bye as she went back to work. Gray took her seat. I love books that create worlds that allow you to escape. Even if just for a moment. I truly hope that I can provide that to you all with my books. Thank you for your support!!! Today, Colleen Nye is with us. We’re glad she’s here! I am a published author. Along with several anthologies, I have two novels, When in Maui and Immersion. I am also an event coordinator. By basically, I think of a name, think of any rude nicknames or if the strength of the name feels like a fit for the strength of the character. Then I think about how it would sound of a fan would be raving about the book and how the name would sound int hat conversation. I go through names until i find one that seems to fit. Yes…. I try not to, but yes, I do. I do! When in Maui actually has the Blue October discography as like a soundtrack. I had a playlist for when I was writing Immersion as well. I think I always knew it. But when I started writing when in Maui and finished it so quickly, it felt right. The world around me. Everyone. Reading, gaining life experience, watching movies and listening to what readers say about the books they’re reading. Shhhhh…. if I tell you, then you’ll jinx me. Which one? LOL I have a few. #1 When in Doubt (When in Maui, book 2). #2 I am co-leading a 5 book anthology set called The Debut Collective and have a short story in all five books. #3 I am leading an anthology set that’s a unique take on anthologies. I write the over-arching story line for each book, each book has it’s own theme. Each book also has a group of guest authors that write short pieces that are embedded in the story line that I write. So basically, a full novel with guest authors’ pieces throughout. Book 1 is going to print. Book two is started. Book three is gathering authors. #4 My writers’ group is starting their 4th anthology. (I’m in the second and third) #5 I have a sci-fi trilogy that’s knocking on my writer’s brain waiting for me to have some of this all completed so I can start in on that. #6 I have a published short story that has turned into a full novel in my head. I’m slowly working on that as well. I just closed two books. I need a break and am writing currently. But the were Stacey Rourke’s Steam and Amy Bartol’s Darken the Stars. Both AMAZING books! I get an idea and start writing… I take notes along the way. I would think every book has some sort of message. But I think it’s up to the reader to figure out what that is to them. Water… gotta keep hydrated! Smart water to be specific. And Dove Chocolate Bars. Marketing. I love to market and network. And I’m starting a small publishing house to help some other great authors out that just don’t have a home yet for their book babies. Oh, i suppose that’s up to the observer. I’m strange, quirky and often misunderstood. But aren’t we all? Who turned the sun on and why hasn’t anyone slapped them? I thought to myself and pulled the comforter over my head. A few minutes later, I pulled the comforter back down, just enough to reach up and pull the curtain back a little. I peeked out the window and watched the snow falling gently over the landscape. The trees, grass and lawn ornaments were all covered. We had just had a slight ice storm a couple days prior, and this snowfall was covering the ice on the electrical lines and tree limbs making everything look like it was covered in white glitter in the sun shine. Keep reading and letting your imaginations grow! Thank you for your support! And PLEASE don’t forget to leave reviews on Amazon and other platforms! It’s like food to writers! We require them to grow! Welcome back to For Your Reading Pleasure. Today’s guest is Susan Burdorf. Character names are not that hard for me. For some reason, maybe because the characters are contemporary, I do not have to work too hard to find names. I am a Girl Scout Leader and work with teens a lot so I draw my names from their names. I do listen to music, but I do not pick songs to match scenes like a lot of authors do. I find that music, or the tv playing, or the grandkids running around in the background is like white noise – I hear it, but I don’t really pay attention to it. It soothes my mind to be around noises that are familiar, but otherwise I ignore them. I really enjoy listening to James Blunt, One Republic, The Calling, or Enya when I write. Sometimes I like instrumental music like 2Cellos or Lindsey Stirling. Someone else asked me this question the other day and I told him the story of my “What I Did Over the Summer” essay that we all had to write when I was in school. It was third grade and I wrote such a long essay that it was twelve pages (in my defense, it had been a very busy summer) and a teacher told me I should be a writer. I never stopped writing, but the real question here is not how long I have been writing, but how long have I thought of myself as a writer. And that question’s answer is – since I was a teen. I have numerous stories buried in a box that someday will be rediscovered as my “lost manuscripts” ala Harper Lee (no, not really, I am nowhere near her skill level and know it, but it is nice to dream) and then I will know I made it! I love to write, always have. As a young teen I wanted to go to college to be a journalist, but my parents talked me out of it. Every job I have ever had I have had a way of making writing a part of it. I love stories, I love plots, and I love to see my name in print. I do not have a muse. Although I believe I have a writing fairy who keeps sending me story ideas…usually when I am in the shower or in the car driving someplace or sleeping. Everywhere you can be where you cannot write down the ideas the ping pong around inside my head and that I wish I could write down! But, I think every writer has that issue! I am lucky to have started getting very serious about writing when UtopYA (now known as Utopia Con) began. I made connections and new friends. I joined groups on Facebook devoted to writing. I attend a monthly call with Heather Hildenbrand (the guru of everything writing) who invites guest speakers and allows fantastic conversations. 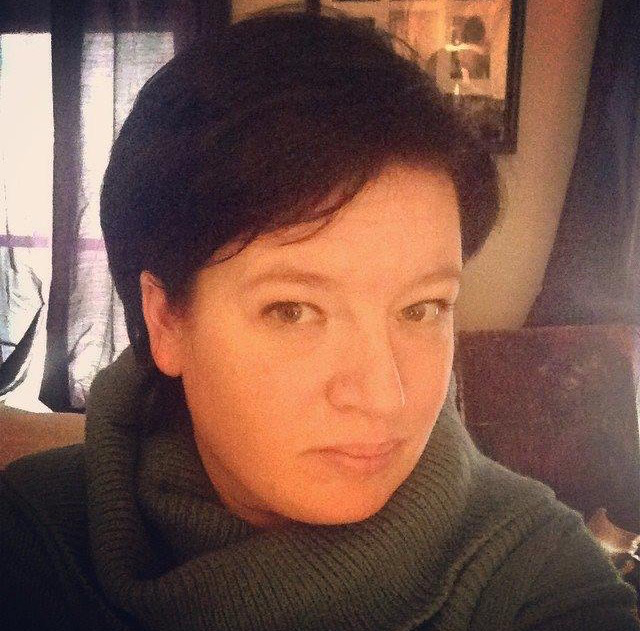 I joined local writer’s groups to help me get started, and attend several conferences a year at which I am lucky enough to meet with and converse with folks who have made it onto best sellers lists and they let me pick their brains. The Indie writing community is vast and generous. I also attend workshops. At first I went to every workshop on writing I could find – query letters; plotting; character development, etc until I felt that they started repeating the messages. Now I am much more selective. For newbie writers I always recommend knowing what you want out of your writing and direct your outside activities toward achieving those goals. And I also tell them to READ. Read everything, not just how to books, but also books in and out of your genre. Write down phrases that make you think or are interesting to you and analyze them – it will help your writing improve. And make friends. Make friends with your fellow authors and your fans. WE, the writing community, are the best resource to improving writing, both our own and the rest of our community. I have a series of YA novellas that will release beginning in January 2016 with each one releasing each month. The series will involve a party where all the female guests come dressed as their favorite Fairy Tale character. Unbeknownst to the lead character who has invited her friends and their boyfriends, a demon has been released into their midst and forces them to act out the fairy tale of their costume with a twist…they must battle the demon and if they lose, he gets their souls. I am having a blast with this one, because it is so different and dark from anything I have ever written before. It is called the “A Little Midnight Madness” series. But before that one comes out I have two stand alone books releasing this year. Both are YA. “Breaking Fences” is the YA Contemporary story of Cutter Boone and his inability to release his guilt over the death of his father until he meets Melodie Graham, a former barrel racer and feisty daughter of a drunk who beats her. Both help each other discover the mystery of some cattle rustlers and face down three rabid coyotes along the way. The next book, due to release in December 2015 is called “Clockwork and Lace” and is a Steampunk novel about a young girl who must find her grandmother utilizing the help of a metal dragon who can talk and time travel. I am a moderator on a panel for Southern Festival of Books in Nashville, TN in October 2015 so I am reading the books of the panelists I will be introducing. One is “The Same Sky” by Amanda Eyre Ward and the other is “Dear Carolina” by Kristy Woodson Harvey. I just finished reading “The Orphan Queen” by Jodi Lawrence Meadows which I highly recommend. I have written so far in YA Contemporary and one book, “A Cygnet’s Tale” is in first person POV. “Breaking Fences” is also YA Contemporary and is in third person. I know most YA books are first person, but I like the freedom of third person. I do like to do character sketches for my complicated characters. Sometimes I have as much as 7 pages of information listed that show me where the character was born, what they like to eat, if they like designer clothes, what they watch on tv, what their favorite subject at school is, etc. I like to look online for pictures of people I think look like my image of the character. I outline some of the story to keep things on track, but I have found that as I write I tend to go off track anyway, the characters sometimes hijack the story…and at those times I let them take the lead. Yes, I do. I know the beginning, the middle, and the end of all my stories. That helps keep me on track. I find that not doing this first sends the story all over the place. That is no fun to read, and definitely no fun to edit. Yes. I like my books to carry one theme since they are YA I want people to know they are okay just the way you are. My family is very important to me. I also love to hike and photography is something I enjoy. I also like to collect DVD’s. I have a pretty extensive movie collection. I like hockey, and enjoy going to games. I am a conservationist. I helped create an Arboretum in a town I lived in. We also created a Nature Trail and a butterfly garden which a local school uses to conduct science experiments like rainfall totals and plant growth. “Fairy tales don’t always have a beautiful princess…or a happy ending. Sometimes they have ugly ducklings who never grow into their wings. And sometimes they have something altogether different, just because they can. I want to remind readers to READ. Whether you read my books or not, just read. And after you read, please take the time to leave a review. Your author friends will appreciate it very much. Thank you for taking the time to visit with me and I hope to hear from you soon!